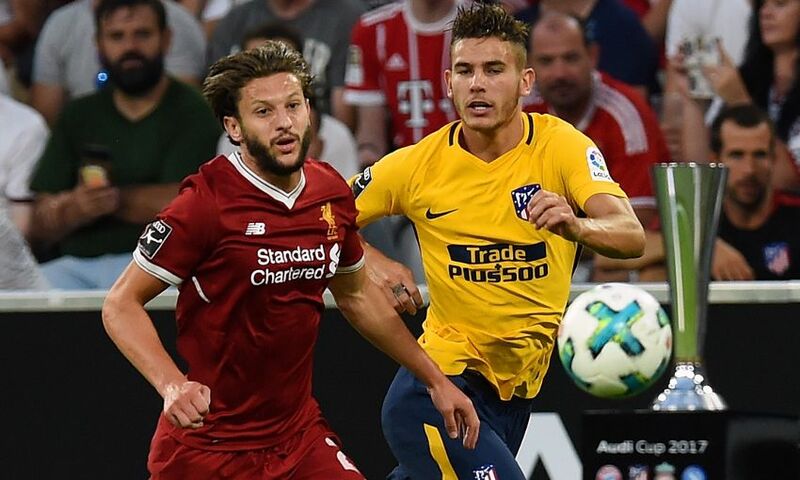 Liverpool suffered defeat in the Audi Cup final on Wednesday evening as they were beaten 5-4 on penalties by Atletico Madrid in Germany after a 1-1 draw. The La Liga club broke the deadlock midway through the first period when Keidi Bare headed in after Danny Ward had pushed Angel Correa’s effort onto the crossbar with a magnificent save. In a game of few chances, the Reds had to wait until the 82nd minute to restore parity when Roberto Firmino converted a penalty with aplomb after Divock Origi had been tripped inside the box. And it was spot-kicks that determined the winners of the trophy, with Diego Simeone’s men scoring all five of theirs, and Jordan Henderson the unfortunate Liverpool player to miss. 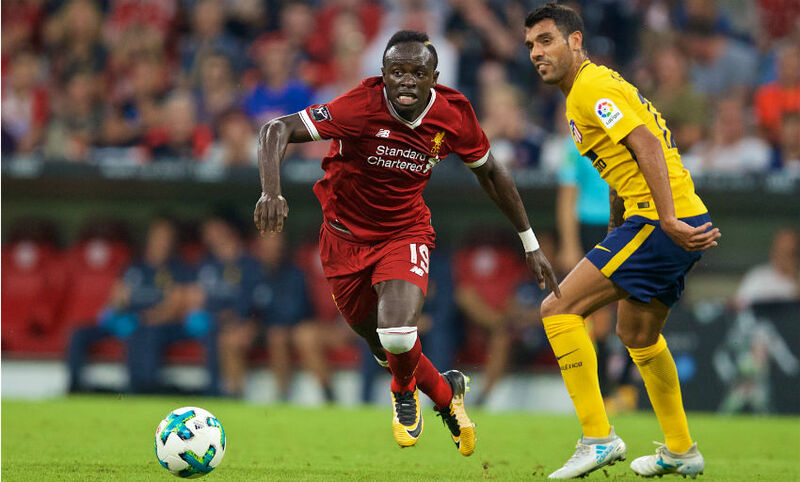 It meant a first loss of the summer for the Reds in their penultimate friendly, with a trip to Dublin to face Athletic Club their final act before the start of the 2017-18 Premier League season. Just 24 hours on from their 3-0 win over hosts Bayern Munich, Jürgen Klopp elected to make nine changes to his starting line-up with only Emre Can and Sadio Mane retaining their berths in the XI. James Milner, Joe Gomez and Ward all returned after recovering from injuries, while Philippe Coutinho, Dejan Lovren, Mohamed Salah and Alberto Moreno were rested from the matchday squad. Nevertheless, it was Liverpool who fashioned the game’s first chance when Dominic Solanke glanced a header wide from Ben Woodburn’s in-swinging cross from the left. Then, Adam Lallana’s nimble footwork afforded him the space to deliver a ball in the direction of Woodburn, whose acrobatic volley flew past the post. But it was Atletico who eventually opened the scoring with 27 minutes gone. Ward produced a magnificent save to thwart Correa’s initial close-range effort and palm it onto the crossbar, but Bare arrived to head in the rebound with the goalkeeper grounded. That proved the last meaningful action of the opening half as the Spanish club went into the interval holding a one-goal lead. Liverpool made six changes at the break – and it contributed to a bright opening to the second period, with Solanke having a spin and shot deflected behind. However, chances remained hard to come by despite large spells of possession and probing from the Reds. As the game entered its final stages, Marko Grujic spurned a decent opportunity by shooting over the crossbar when finding space inside the area prior to Origi turning sharply and arrowing a low drive just off target. But with just eight minutes left on the clock, the Reds finally had the chance they’d been craving when Origi went tumbling inside the box. Firmino stepped up and dispatched the spot-kick with poise. Atletico could have regained the initiative but Ward did superbly to keep out Lucas Hernandez’s hook goalwards from a corner; meanwhile, at the other end, Andy Robertson sent a shot skidding across the face of goal and wide from an angle. And so it was to be penalties that would decide the outcome – and Atletico who prevailed. The Madrid club successfully converted all five of their kicks, while Liverpool missed just once via Henderson, but that was enough to allow Filipe Luis to sweep home the winning strike from 12 yards. Want to watch Liverpool in style at Anfield this season? Hospitality packages remain for the games with Crystal Palace and Arsenal. Click here for details.